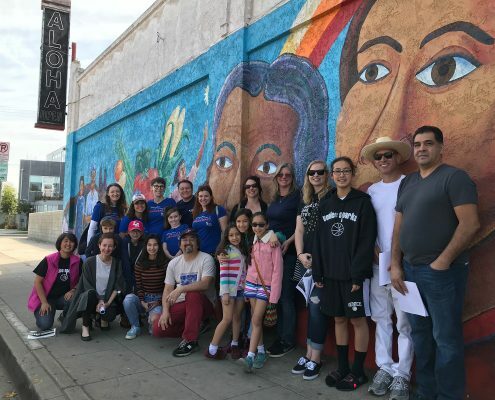 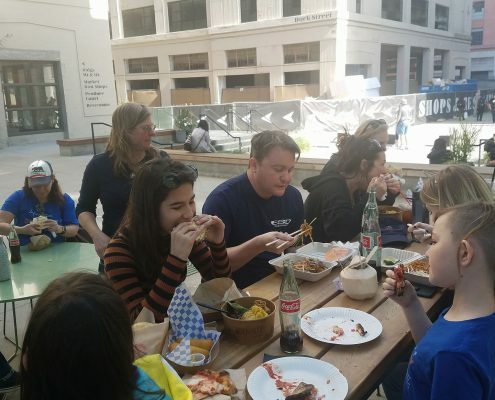 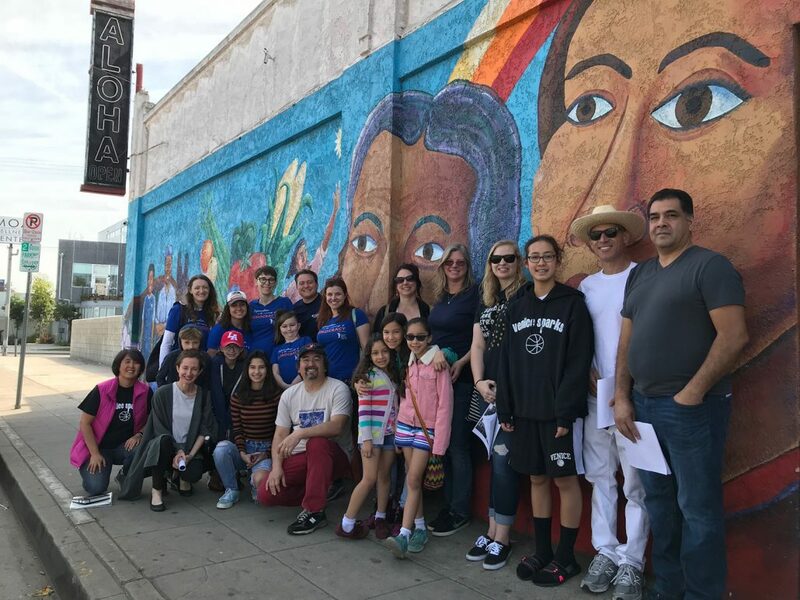 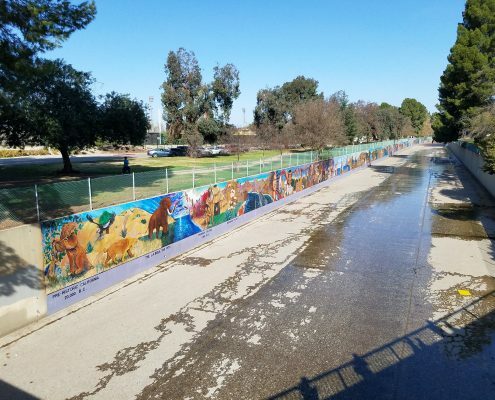 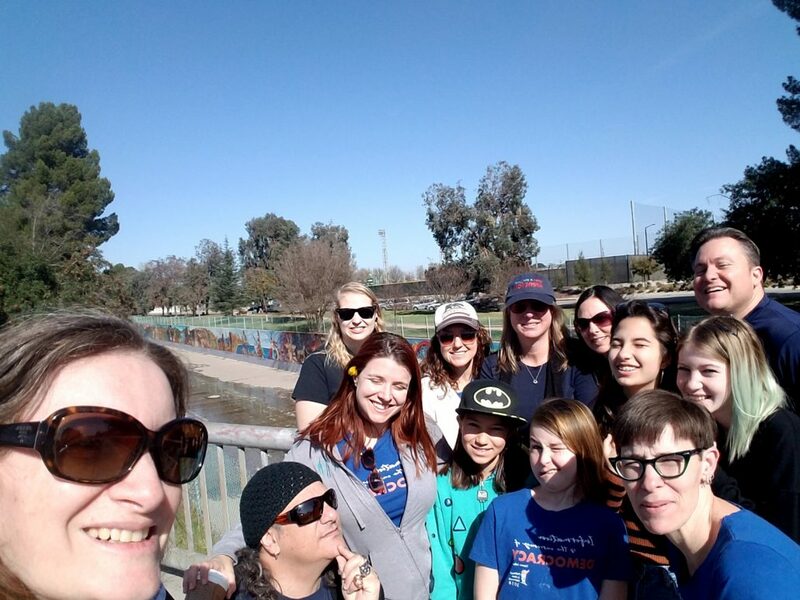 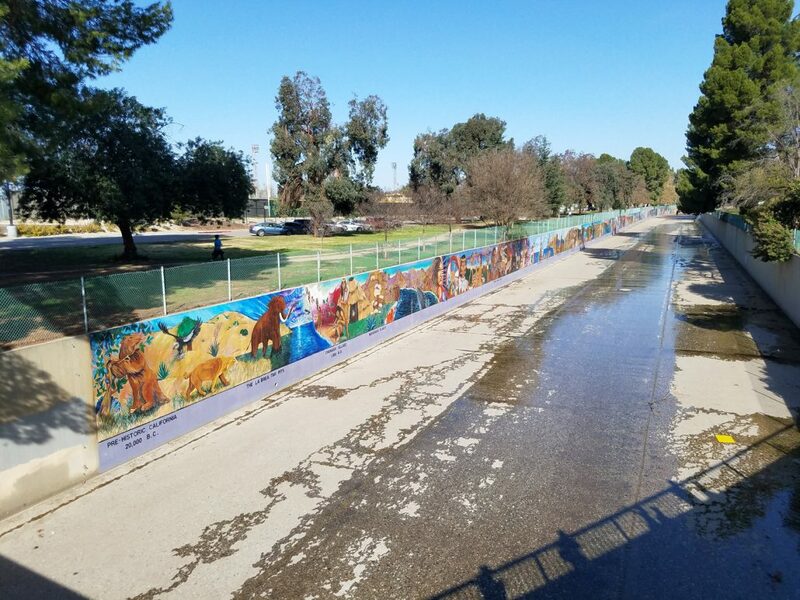 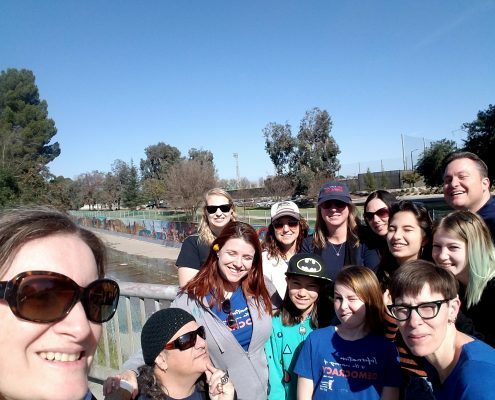 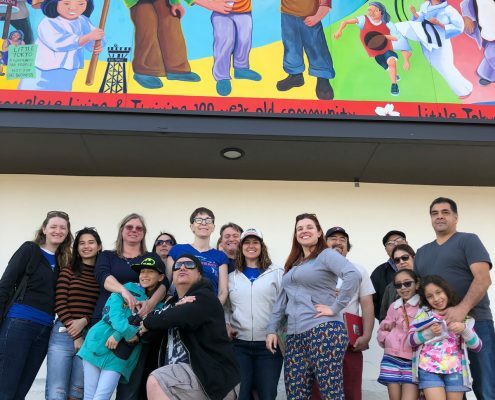 As a follow-up to our meeting focusing on Los Angeles history, and as a way to honor PAN member Sergio Diaz, we took a tour of some of Los Angeles’ many murals. 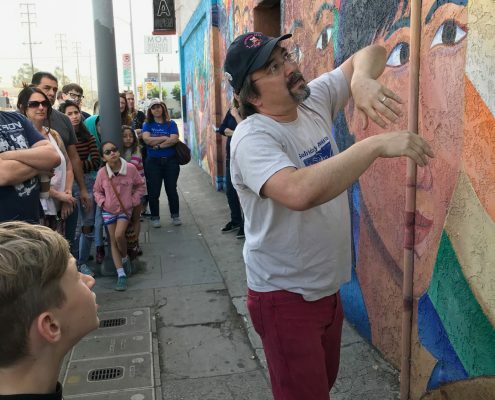 We began at the “Great Wall of Los Angeles,” which is a visual timeline of the city. 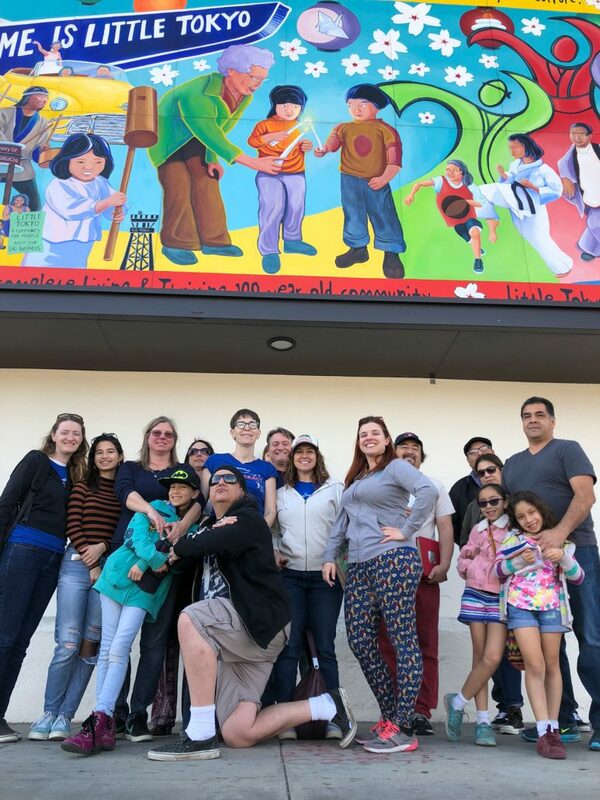 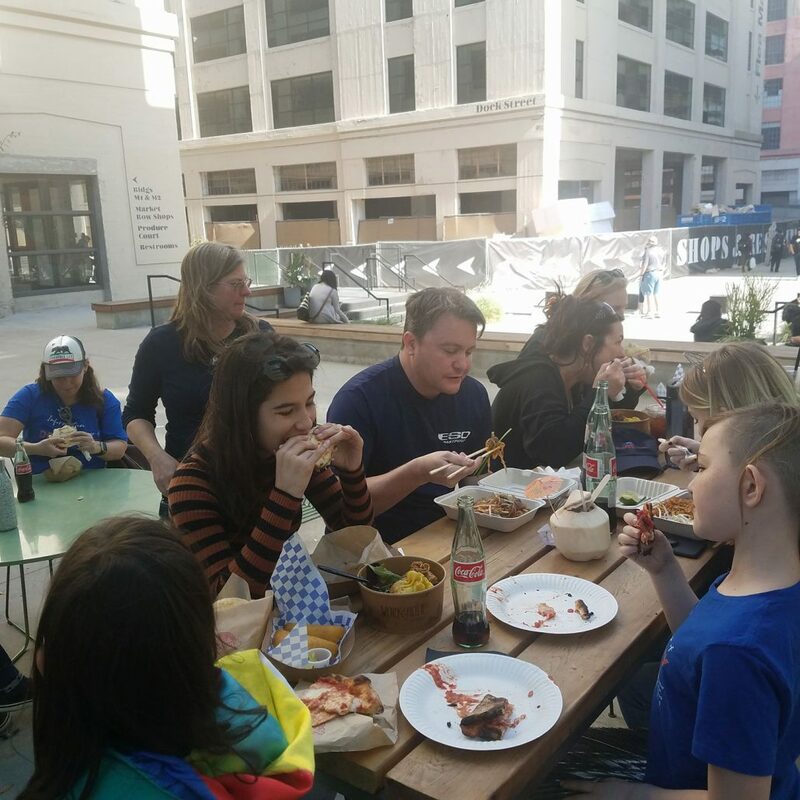 From there, we carpooled to two murals that Sergio helped design and paint: “Aloha to the Neighborhood” and “Home is Little Tokyo.” We were met at those murals by Tony Osumi and his wife Jenni Kuida, who were the designers of the murals. 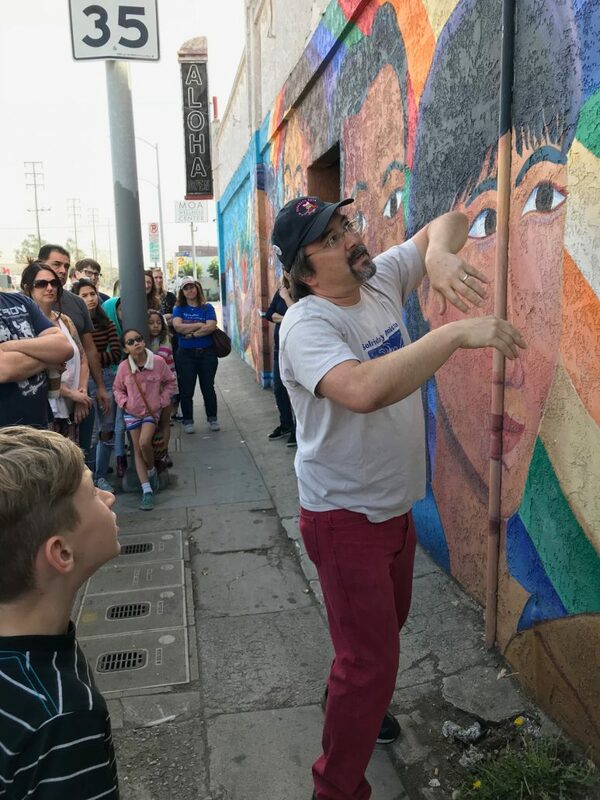 They brought photographs and news articles about the murals, and shared personal stories with the group about the work and about Sergio’s contributions.